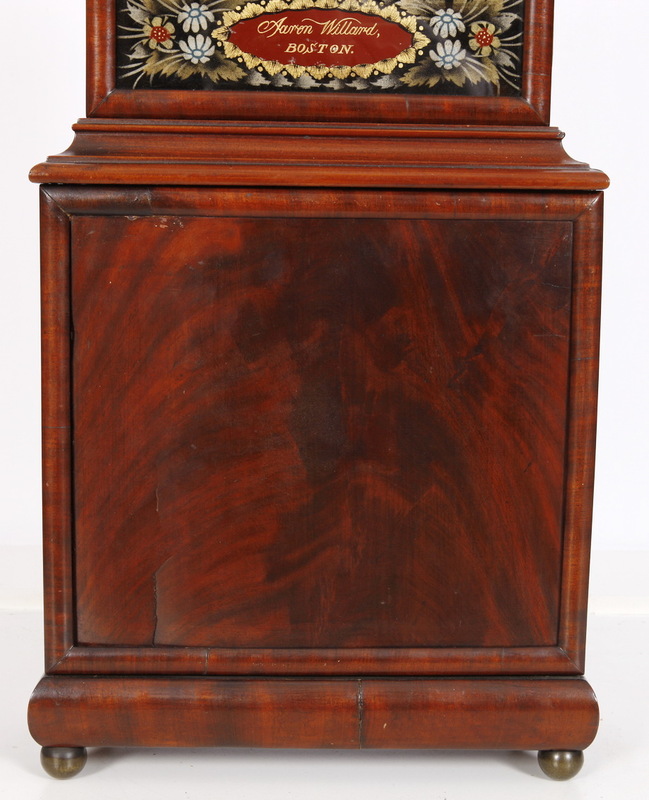 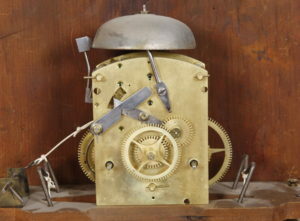 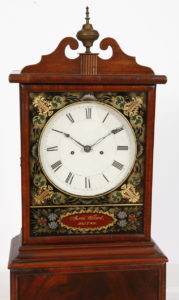 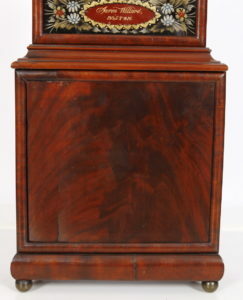 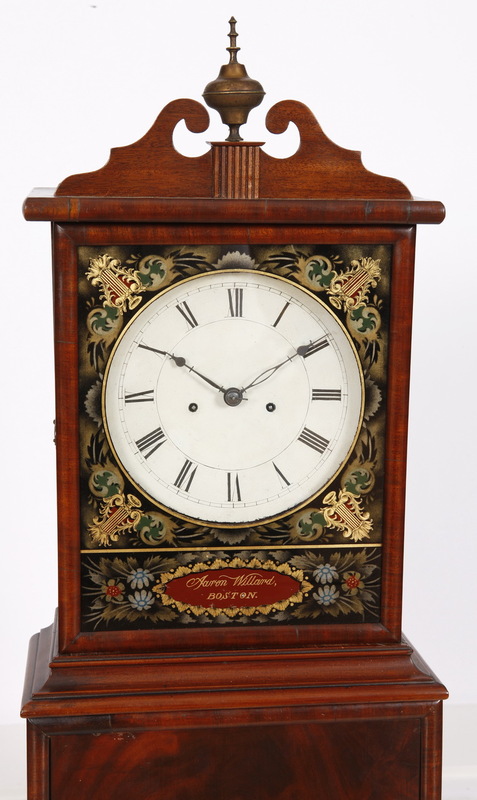 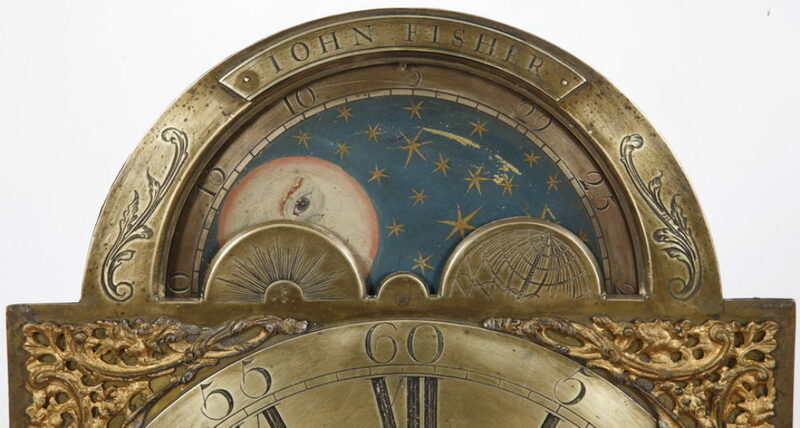 C. 1820 Dish Dial Boston MA striking shelf clock made by Aaron Willard. 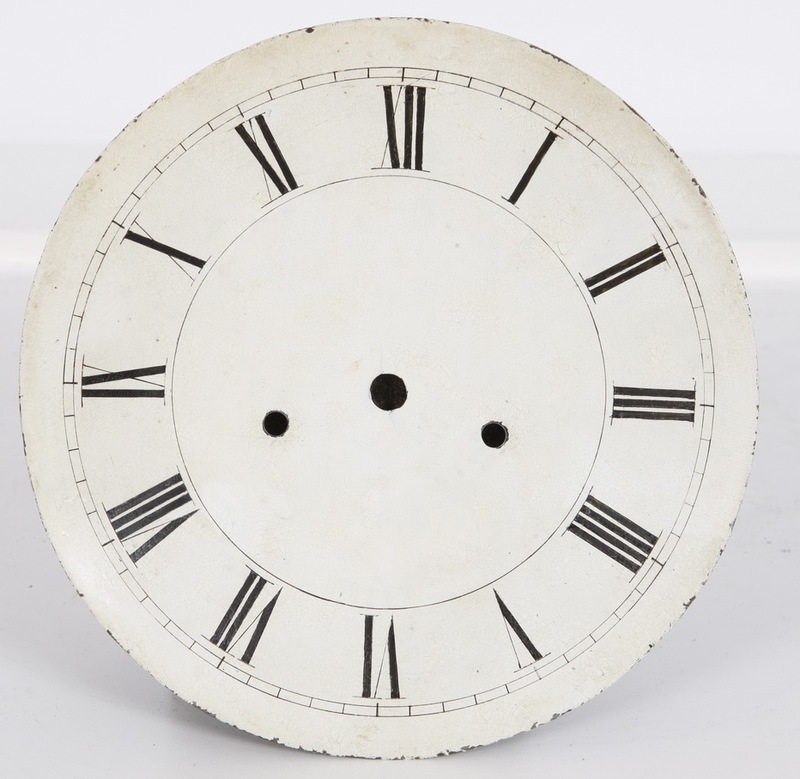 The clock measures 42 X 12 5/8 X 5 3/4 inches. 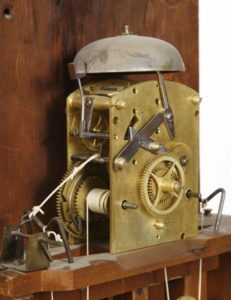 The eight day striking brass movement is mounted to a seat board that rests on a pair of stiles mounted to the backboard. 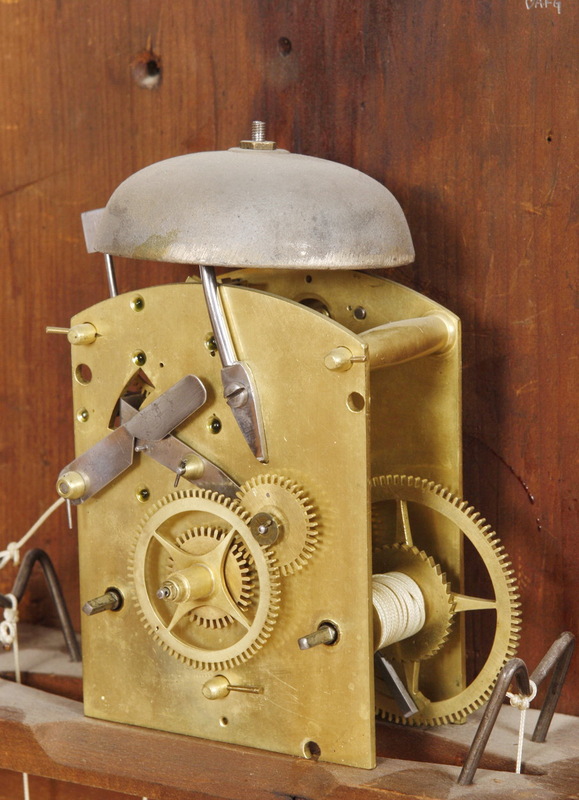 It is extremely rare to find these with a striking mechanism and this example was executed with an early count-wheel design. 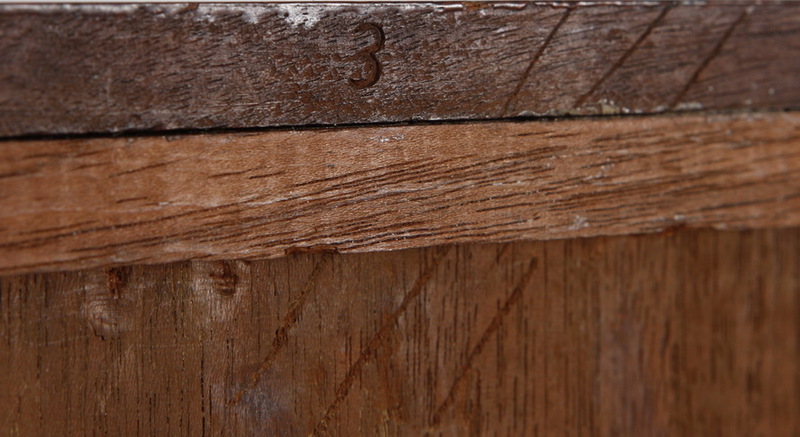 The primary wood is Mahogany with New England White Pine secondary. 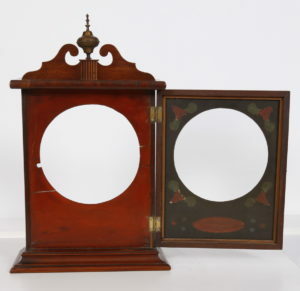 The frames are Mahogany with half round “torus” molded facings. 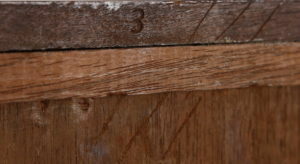 The case parts are numbered and die stamped “3.” The bottom panel is Mahogany and a wonderful example of an original panel. 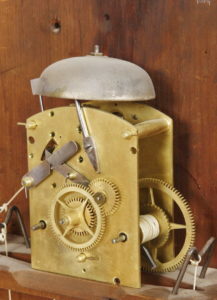 These are typically replaced as oftentimes the weight cord gives way and the weight takes out the bottom of the clock. 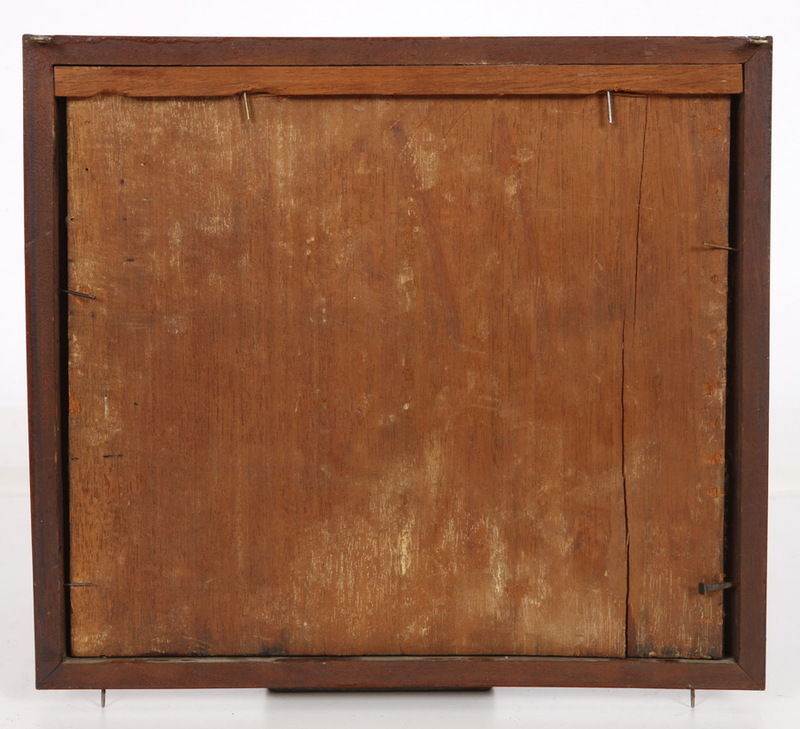 The original panel is scribed with three hash marks that align perfectly with corresponding marks on the inner surface of the frame. 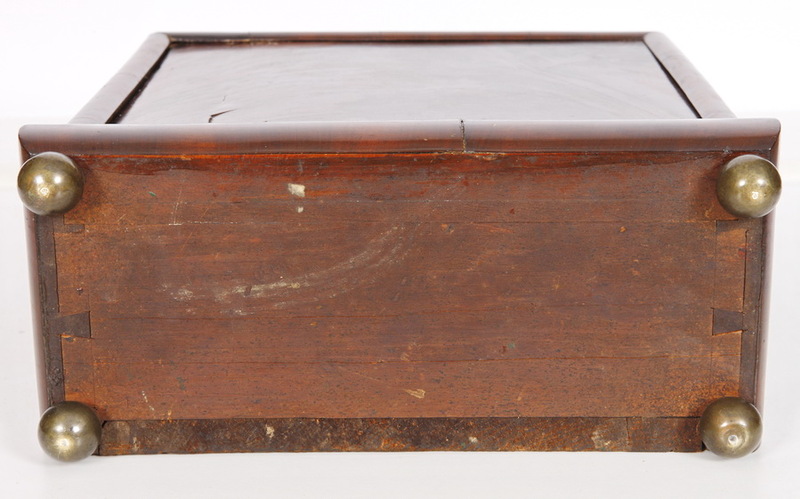 It is remarkable that the case not only retains its original bottom tablet, but the interior protective weight board is there as well. 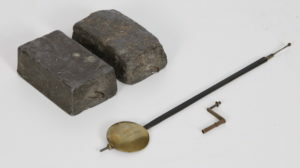 Both weights are cast lead and original. 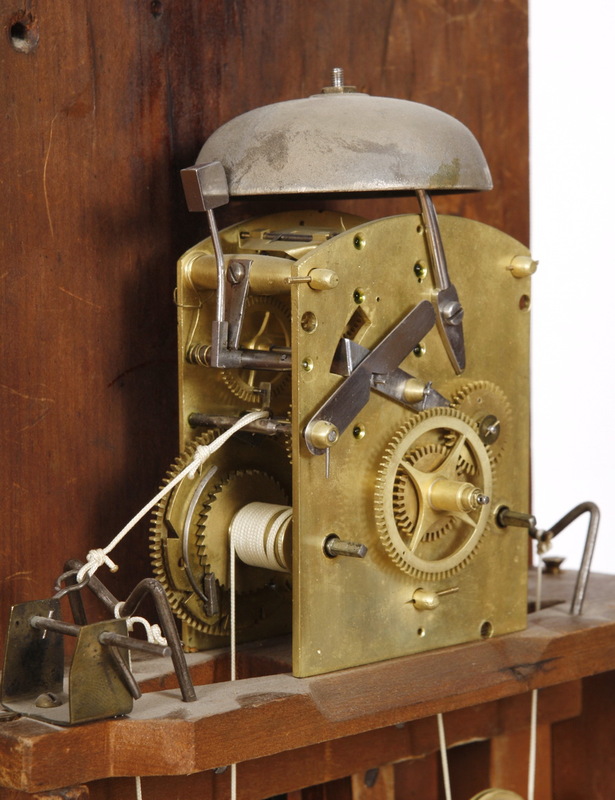 The pendulum is original as well. 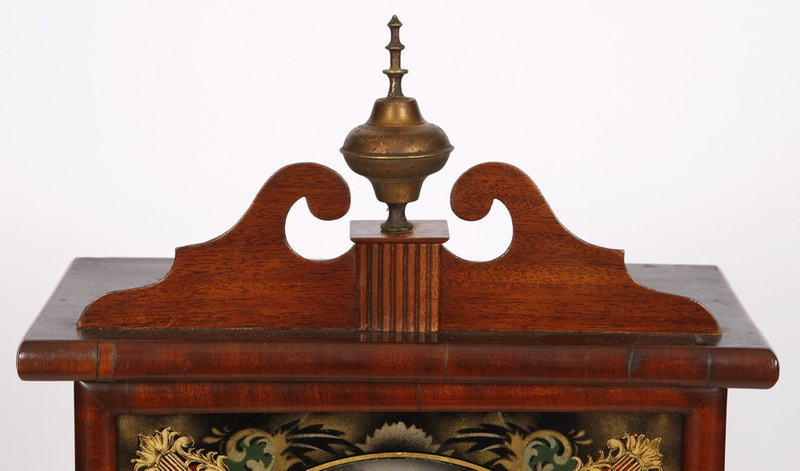 The applied scroll fretwork and finial are both original. 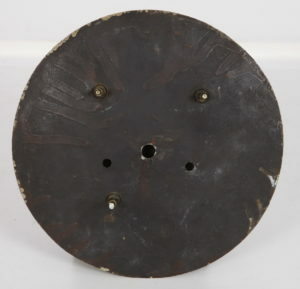 The dial mask is original and the dial/works/case are original to each other. 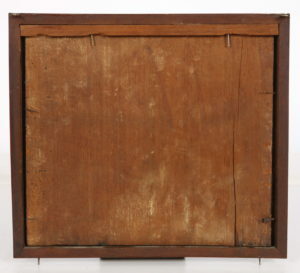 The upper reverse glass tablet has been re-backed and restored on the original old, thin, wavy glass. 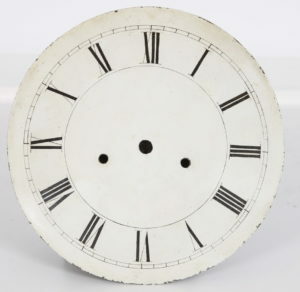 The clock runs and strikes. 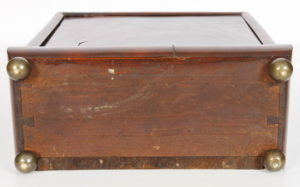 The feet are original and note the original dove tailed bottom board. The dial mask retains original undisturbed glue blocking. 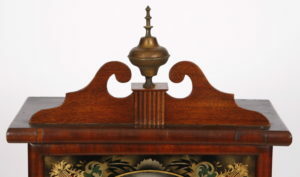 Note the “sound holes” in the side of the hood a detail only found in shelf clocks with a strike mechanism.